I was born in Bordeaux 53 years ago. My father’s family is from the northern France, where they produced sugar and liquor from the 17th century onwards. My grandfather, Lucien Bernard, was seriously injured during the first World War and during his convalescence, he discovered Bordeaux. Here he met his future wife and later established his own liquor company. My mother, Lilliane Cruse, and her family are from the Bordeaux wine world. I started out early in the wine business – by opening my first wine cellar (retail wine shop) at the age of 18. I married Anne Laydeker in 1984, and we have had two children. 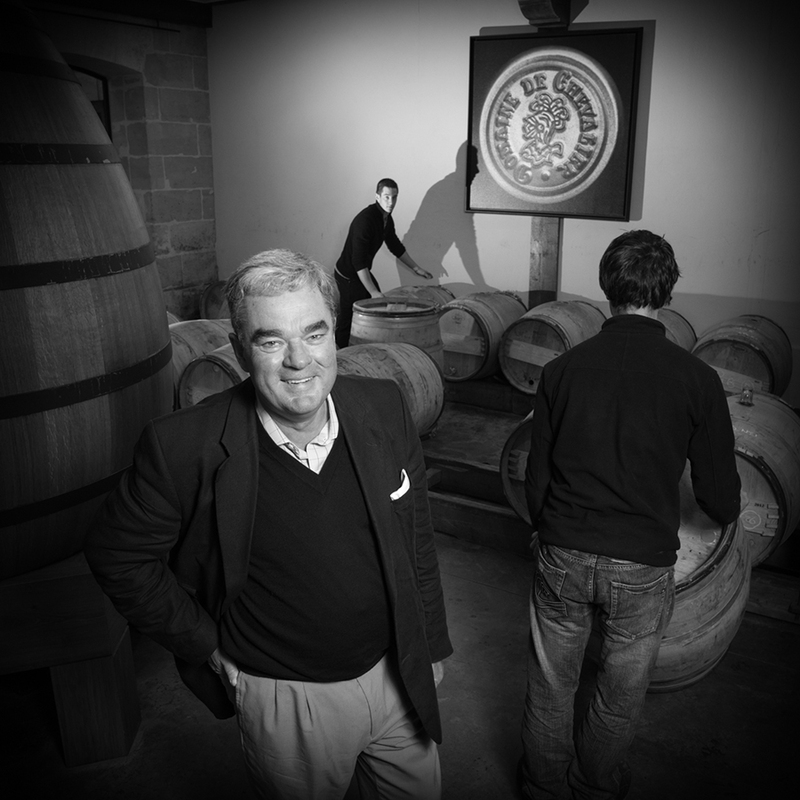 In the previous year, in 1983, my father Jean and his brothers purchased Domaine de Chevalier and offered me the opportunity to manage the estate. 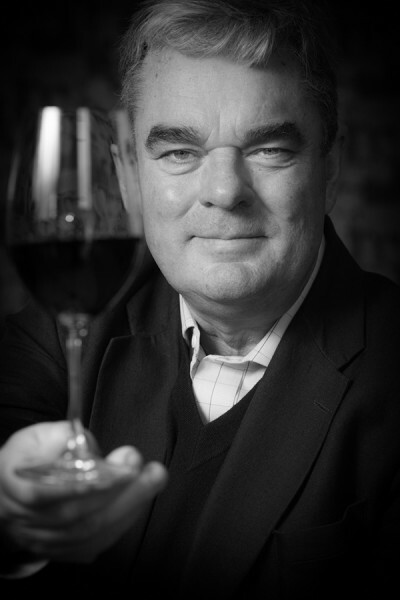 I carried out my first 5 years running Domaine de Chevalier under the guidance of Claude Ricard, « a wine grower with an encyclopedic knowledge » and former owner of Chevalier. 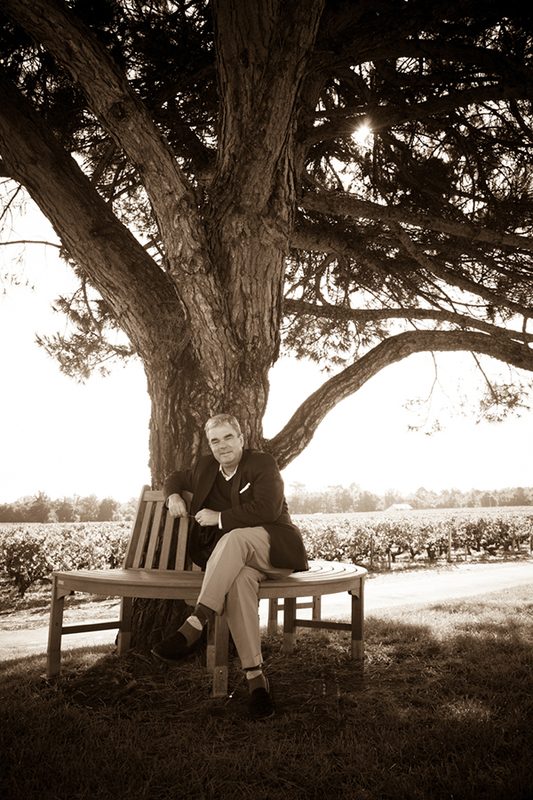 This was a great experience as he was the one who taught me all about wine – and about Domaine de Chevalier in particular – just as my father taught me about the world of business and how to manage a company. This was the beginning of a grand adventure, and a career in which I have been totally invested right from the start. There are many projects which I try to develop simultaneously, within the framework of my various responsibilities, as President of the Union of Grands Crus of Bordeaux, Vice Chancellor of the Bordeaux Wine Academy, co-owner of Château Guiraud and CEO of the family group Financière Bernard. The historic domain of « Chivaley » (« Chevalier » or Knight in Gascon French) dates back to the 15th century, when it was a family home as well as an agricultural estate. I live at the Domaine and am totally involved in everything that goes on there. I have given my life to this estate, and it has repaid me well…However, it is true to say that I don’t benefit from the intimacy of having a private home, separate from my professional life ; this is sometimes difficult for my family and close friends…Although, I am fortunate to be working « en famille », with my wife and my two sons, Adrien (29, based in China) and Hugo (27), who is developing the Clos des Lunes. Over the years, I have been able to install the Domaine’s technical equipment and completely restructure the vineyard. Our objective has always been to obtain the best quality, and the wine market has progressively rewarded us for our efforts. The Domaine’s production methods and its wine are constantly improving from year to year. I know that the best wine I will ever make in my life will always be the one I make tomorrow. Domaine de Chevalier’s vineyard has grown from 18 hectares in 1983 to 45 hectares today. The SCEA (Agricultural company) of Domaine de Chevalier runs and farms 4 vineyards : Domaine de Chevalier but also Domaine de la Solitude in Martillac (farmed as tenants since 1993), Château Lespault-Martillac since 2009 (farmed as tenants) and the Clos des Lunes in Sauternes (established in 2011), where we produce a highly successful dry white wine. Before 2020, SCEA Domaine de Chevalier will reach 200 hectares of vineyard producing high quality wines. This was an uneven vintage like 2011 and 2012 – uneven in terms of weather, terroir and choice of harvest dates and uneven in terms of plots within one same property. Given this particular context, of course some made out better than others, thanks to hard work, talent – and luck (which we certainly needed in a year of such unpredictable weather). The vintage was so severely criticised right from the start that, fortunately, tasters have been pleasantly surprised by the wines. The savoir-faire (expertise) among Bordeaux’s Grand Crus has enabled us to produce a decent wine even in challenging years. This year, because of the absence of influential journalists like Robert Parker, there is considerable groundwork ahead for journalists and merchants in terms of selection and advice. These wines will be on the market at good value-for-money prices for amateurs of great Bordeaux. This is a year for consumer prices and not speculative ones.